“Jesus Christ” is a name I’ve known since my mother first taught me how to pray at the age of 4. But like a friend that I’ve known for a long time, I find myself taking this Name for granted. Going to the two-week Christology course organised by the School Of Theology (July 25 to Aug 5) gave me fresh insight to Jesus, and set me thinking about what He did for me. Christology is the Biblical study of Jesus Christ. I was one of the 181 returning SOT alumni that attended the Christology course taught by Pastor Bobby. To wake up at 6am, tiptoe out of my house (lest I wake my year-old son), take an hour-long train-and-bus ride down to CHC’s Jurong West campus, was indeed challenging. But the study was worth every second of all that. The two week-long course started with the study of the development of Christology in Church history. By the middle of the course, Pastor Bobby had covered Christ as deity, His humanity, humiliation, exaltation and finally the work of Christ. The extensive lessons are too rich and detailed for me tell you about in one blog post, so if you’re interested, sign up next year. Ask any SOT graduate and he’ll tell you that the thing he misses most about SOT is the half hour praise and worship session every morning as well as the worship session at the end of the day. The presence of God is always so real, so tangible that it makes you ponder your life and faith. Here are just five of the things I pondered over following the Christology course. 1. IS IT REALLY IMPORTANT TO UNDERSTAND IF JESUS IS MAN OR GOD? Deuteronomy 6:4 says, “Hear, O Israel; The LORD our God, the LORD is one!” Because of this verse, the Jews believed that there is only one God. That is why it was so hard for them to accept it when Jesus said He was the Son of God and was doing what He sees the Father do. They also could not accept the concept of the Trinity. Throughout history, Christians and non-Christians alike have been arguing about the humanity and deity of Jesus Christ. Pastor Bobby taught that the Scripture affirms again and again the full, absolute deity of Jesus Christ. It is important that Jesus is deity because only the infinite God could bear the full penalty of sin, be the mediator between God and Man, and reveal God fully. If He is not God, then we have no salvation and our worship to Him today would not be appropriate. It is also important that Jesus is fully Man because only then can His death be the full and final atonement for mankind. One of the main purpose for His ministry on earth is to show us the things God has originally intended for humanity. By following after Jesus’ example, we can also do the works He did. So the answer is yes. It may not be easy to understand how Jesus can be fully Man and fully God at the same time, but in the same way we received salvation by faith, we must exercise faith and take Jesus at His word that He is the God that redeemed us. 2. HOW DO WE READ THE BIBLE? How do we usually read the Bible? Flip open to the book of Genesis, read, highlight some verses that we like, close the Bible. But Pastor Bobby encouraged the students to study the life of Jesus. As in really study His human character and activities. He highlighted the fact that Jesus came to give a complete revelation of Father God to man. If we want to know what Father God is like, we should do a search of all the times Jesus spoke about God as the Father. Pastor Bobby gave the example of the parable of the Prodigal Son. The Father was waiting and looking at into the horizon for the son to return. That is what God is like. He is not an angry old man judging every little thing we do. He is waiting for His children to come to Him, and when we do, He will hug us and say “Welcome home, my child”. As I said earlier, Jesus came to show us how we can lead the life that God has intended for us to live. He even gave us the Holy Spirit to help us. Studying Jesus’ human activities on earth and His moral character will show us how God wants us to live our lives. 3. DO I EVEN REALISE HOW MUCH GOD LOVES ME? 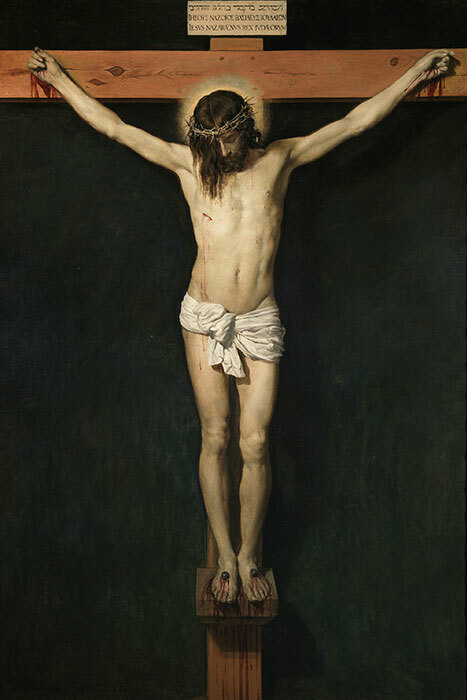 When we were studying the humiliation of Christ, otherwise known as the Atonement, we see the indignities that He had to suffer: He was spat at, struck, mocked at, scourged and finally crucified. Seriously, He is the God that created the whole universe. Imagine the ants spitting and mocking us. Yet Jesus subjected Himself to all these just so that these ungrateful people won’t have to burn in hell. 4. ARE WE WILLING TO DIE FOR HIS CAUSE? Jesus was willing to die for what He believed in and what He was called to do. Are we willing to do the same? Pastor Bobby drew a diagram showing us the events that led Jesus to His death on the cross. The starting point was when He came into conflict with the Pharisees because he had a set of values that He believed in. He refused to compromise His beliefs, that was why He faced tribulation. That eventually led Him to His crucifixion. His death is a result of His choice to live a certain way. It’s an example to us to be obedient to the point of death. Pastor Bobby said, “This is the same cycle for our lives.” The room became quite quiet at that point. He went on to encourage the students to be like Jesus, to not to be afraid when they face tribulations, hold on to their faith and be obedient till the point of death. Every Christian will reach a point where their obedience is tested. Jesus had set the example of obeying till the point of death, will we be able to do the same? 5. WHEN WE MEET WITH DEATH, CAN WE OVERCOME? The beauty of the Easter story is that Jesus was resurrected. And if we were to follow Jesus’ lead and be obedient to the point of death, we will also follow His lead to resurrect from the dead. When we meet with death, the best thing we can do is to take time to read the Word and pray; that is how we can continue to hold on to the promise of resurrection. It took three days for Jesus to resurrect, so it will take time for us to experience the resurrection power too. 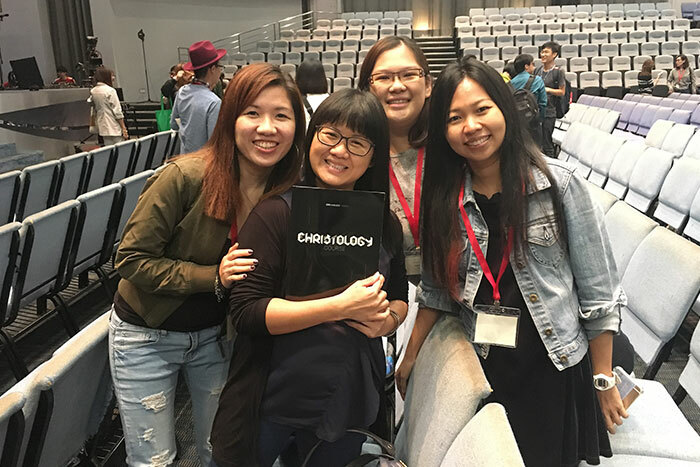 Christology is a two-week course introduced in 2016 by City Harvest Church’s School of Theology. The course is open to all alumni of SOT.